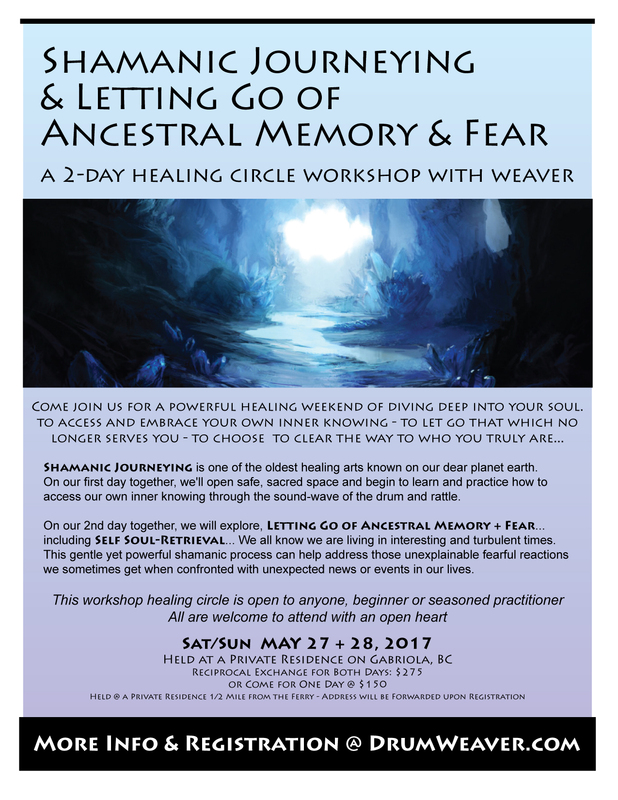 This healing workshop is open to anyone, beginner or seasoned practitioner - all are welcome to attend with an open heart. Shamanic Journeying is one of the oldest healing arts known on our dear planet earth. On our first day together, we'll open safe, sacred space and begin to learn and practice how to access our own inner knowing though this ancient practice . Anyone can learn how to journey - in fact, you already know... we all journeyed when we were children... Remember when you sat at your desk in school bored, staring out the window? You were naturally journeying and dreaming. Shamanic journeying is simply 'active day-dreaming' - a way to shift your consciousness to access inner guidance of the 'unseen' worlds of guides, power animals, teachers, ancestors and to embrace the true inner essence of who you truly are. This day, through the support of the healing sound-wave of the sacred drum and rattle, we will learn how to journey in a safe way within the container of sacred space... First, you will journey to connect with your power animal. Through other journeys, we will practice getting to know our own inner landscape - so we can stop looking outside of ourselves for wisdom and to trust our own intuitive guidance - knowing that all we need to know, is within. We all know we are living in interesting and turbulent times. This gentle, yet powerful shamanic process can help address those unexplainable fearful reactions we sometimes get when confronted with unexpected news or events in our lives. We think we have it all together and then seemingly out of blue we get a fearful response that we were not expecting from ourselves. Deep in our lineages we carry fear responses that are so deeply buried that we do not even realize they exist and yet there they are, waiting to trip us up. 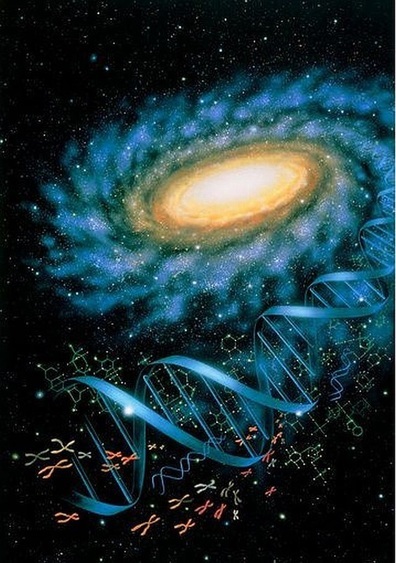 During our time in sacred circle together, we will specifically address three lineages - our DNA lineage, our cultural lineage, and our soul's lineage - the three streams that make up who we are in this lifetime. Gently and without going into the trauma out of which those fears were born, we will bring them up for releasing and healing. This deep clearing has been profound for the students we have introduced this work to. On the 2nd day, we will journey to our own deep essence through a Self Soul Retrieval... to mindfully gather back those soul-essence parts of our selves that we may have lost or tucked away for safety. This is a very simple, yet empowering process to retrieve those threads of light of who we truly are. Looking forward to being in sacred circle with you soon! "...This work is transformational on all levels and can be applied to the real world in support of yourself and others. The power of the drum and music is always amazing transportation to other places in our consciousness and provides access. I am excited to pass the word of you around and the power of this work!... MUCH gratitude! Thank you for an amazing weekend!" ​of sacredness for us to access our inner words of wisdom and self-love..."
"...Doing ceremony with weaver, is getting in touch with your self on a deep soul level. She is a gifted healer who sings and drums with an Energy that heals mind body and spirit. Her kind and gentle nature makes it safe for people to heal their past and step into their coming. If you get an opportunity to spend time with weaver , I highly recommend it. " NOTE: Please register in form below to hold your space... thank you! Upon submitting this form, you will be automatically directed to the payment options page.